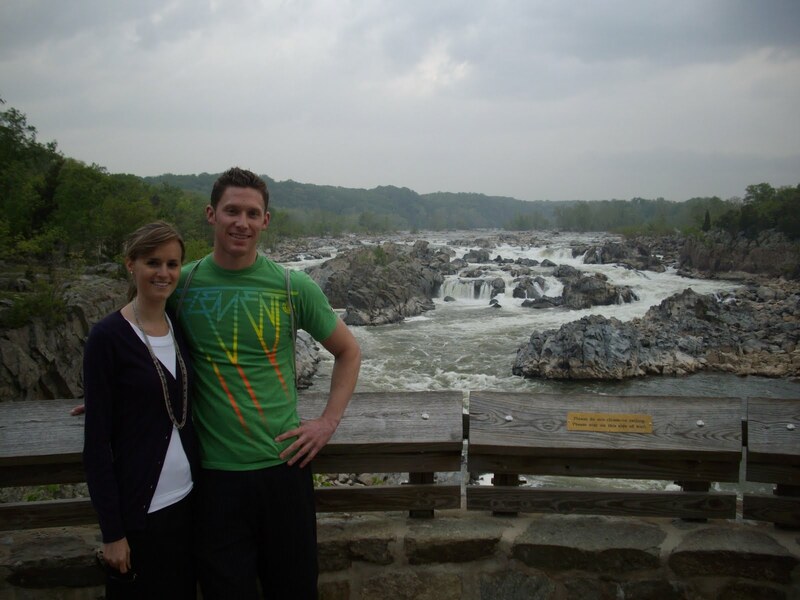 GRIN AND BARRETT: Great Falls, Great Fun. Just minutes away from DC is a great place called Great Falls National Park. It's located in Virginia. I find it interesting how the East is so compact with small states, whereas the West has monsterly-huge states. If I remember correctly, we passed crossed a few state borders just in few minutes it took to get to this park. Shannon was nice enough to drive and accompany me out there for a great picnic and hike. This is a certain Shannon Crowley standing in what is called a "pothole." Apparently it took 500 years for this hole in the rock to form. Notice the skirt and flip-flops Shannon sported for our excruciating hike. 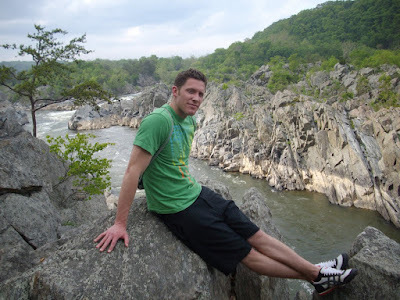 This is a certain Brady Barrett posing on a rock overlooking the Potomac River. There isn't much more to say about this picture than that. This is the most impressive view of the Great Falls. Right next to my left elbow was a little spot where kayakers liked to spend their time. They would paddle in there and ride the "never ending wave." Needless to say, it was an excellent afternoon. It was highly enjoyable, and I know the mosquitos had a great time as well. Shannon and I have the bites to prove it! That looks SO fun! Are you missing DC or happy to be back in good ol' C-Ville? Cute pics Brady! 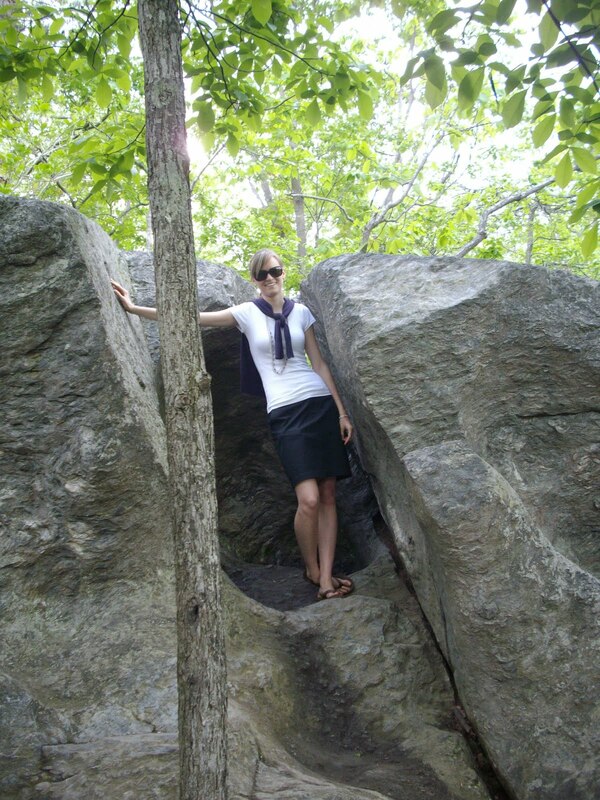 Shannon sure looks good for going hiking and so do you!!! So pretty!